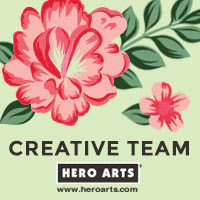 Hello there, I am over on the Hero Arts Blog today, along with my teamie Amy. 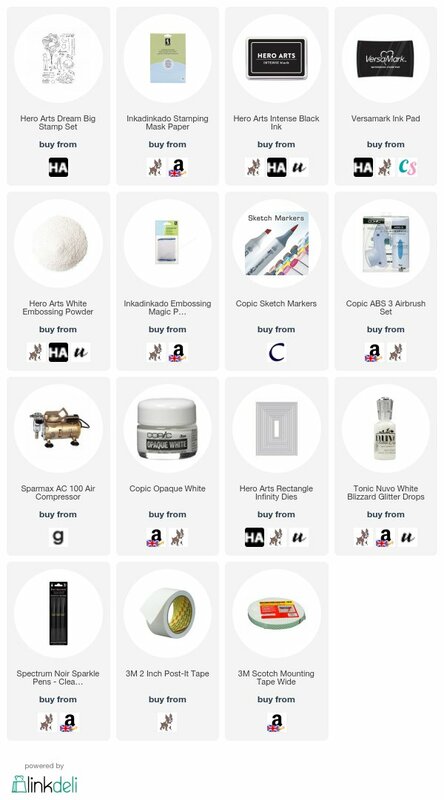 We are sharing ideas using some of the fabulous add-on products that were release with the August My Monthly Hero kit on Monday. 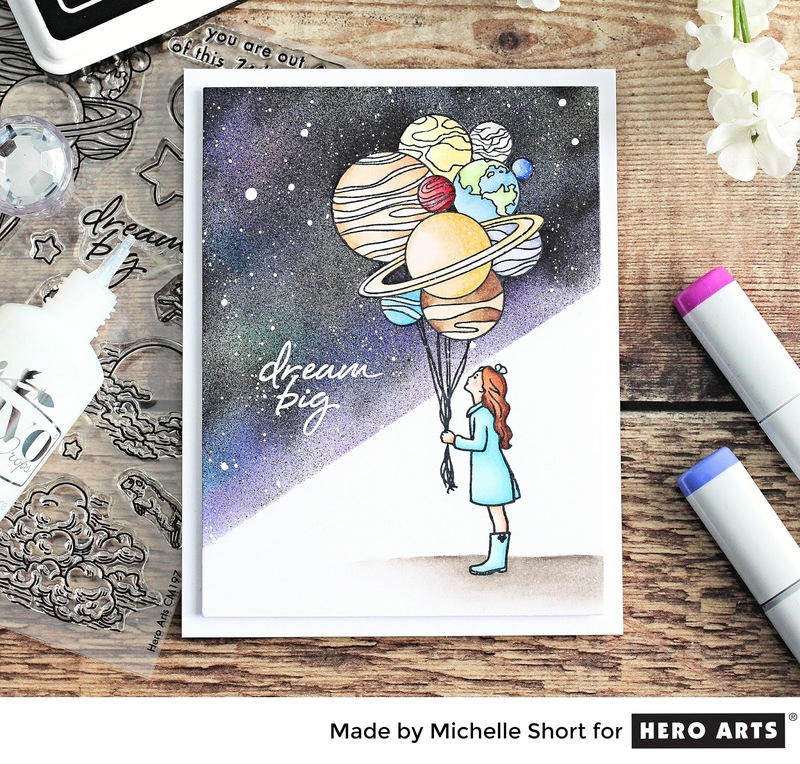 My card uses the Dream Big stamp set. I used the girl from the set, I added the planet balloons so that she was holding them and then created a background using Copic Markers with the airbrush system. COPIC MARKERS: Galaxy background - 110, C9, RV17, Y08, B79, B04, V05, YG07. Girl - Skin: E13, E11, E00, E000, R11. Hair: E47, E25, E23. Outfit: B04, B02, B00, B000. Planets: Y35, Y32, E30 / E44, E43, E42, E41 / B95, B93, B91, G43, G40 / B16, B14, B12 / B69, B66, B63 / R89, R37, R32 / V28, V25, V22, V20 / E30, Y13, Y11, Y00 / E33, E31, E30 / W4, W1, W0. Ground - W5, W3, W2, W1, W0. For more details on how I made the card, please head over to the blog post here. I love how the galaxy background turned out and I will have to remember to use my airbrush for that again! Thanks so much for visiting me today. I hope you have a great day! 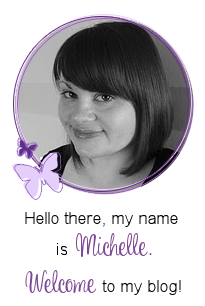 Fabulous card, Michelle! Wonderful images and your Copic sky is awesome!! Stunning card! Love love your design. Thank you for sharing. Beautiful card! I love the background.